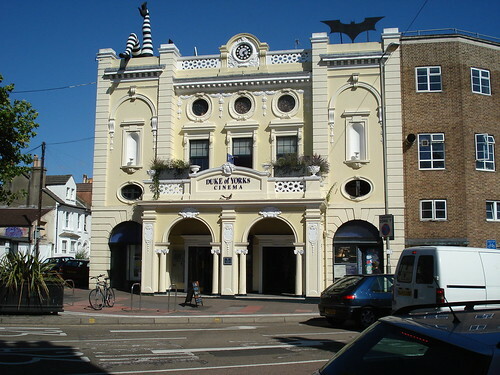 The Duke of York's Picture House, in Brighton, England is the oldest continuously operating purpose built cinema hall in UK. It is also one of the first cinema halls in the World. Opened almost a century ago, on 22 September 1910, it not only has retained its original name and purpose, but its structure has also remained largely unaltered. One of original box enclosure in the balcony area exists even now. However there have been changes in its interior. Instead of original 800+ seats it now has 283 spacious seats, including a luxury balcony, a café and a bar. The colour scheme which was originally red and cream has also been changed to cream only. The building now is included in in UK's heritage buildings - Grade II listed building. Here are the latest views. Image from Flickr is by Truus, Bob & Jan too! The strange pair of giant can-can legs on the building known as "Not the Moulin Rouge" have a peculiar history. 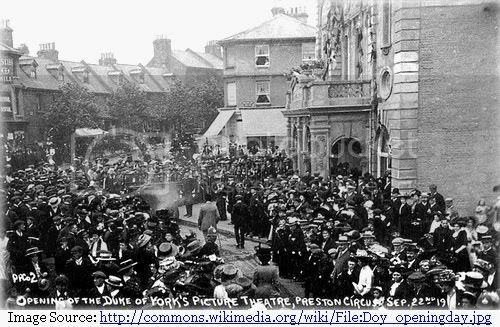 In the early 1920s there used to be a cinema hall in Headington, Oxford, known as "The New Cinema". In 1960 its name was changed to Moulin Rouge (literal meaning - Red Mill) and as a publicity, the owner wanted to install a red coloured windmill on the structure. As the red mill and the name were synonymous with famous "Moulin Rouge" of Paris, the city council refused permission on the grounds that this was misleading, as there were no can-can performance in the hall. 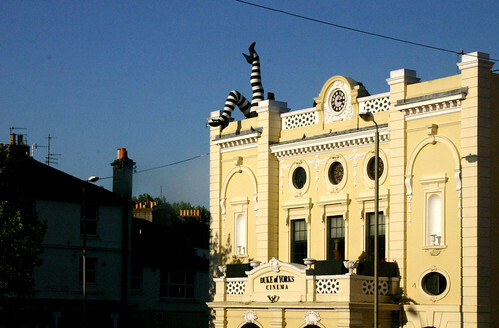 Later Bill Heine, the owner of the famous Headington Shark, took over the cinema in 1980 and put up an enormous pair of can-can legs. These legs were designed by John Buckley who had also designed the Headington Shark. The city council objected again to this on the same grounds as the red mill, stating that since there was no can-can dancing it would again mislead the general public. Bill promptly changed the name of the picture hall to "Not the Moulin Rouge" and won his case on the grounds that a pair of can-can legs could not be mistaken with "Moulin Rouge" when the name clearly says that it is Not-the-Moulin-Rouge. The picture hall however was closed in 1991 and the giant pair of legs were transferred to Duke of York's Picture House, where these have remained till now and are curious oddity to the visitors to the town.